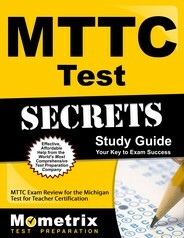 The Michigan Test for Teacher Certification (MTTC), a mandated examination program, is required as part of Michigan’s teacher certification. These examinations will ensure that each certified teacher has the necessary professional readiness and content knowledge to serve in Michigan schools. In order to become a certified Early Childhood Education teacher in Michigan, passing the MTTC Early Childhood Education (General and Special Education) Test (106) is required. In order to help you pass, Mometrix has designed a practice test with MTTC Early Childhood Education (General and Special Education) Test (106) practice questions for you to study with for this exam. Before taking the practice test, it would be good to know what the real test entails. The exam can be taken in either a paper-based test (PBT) format or a computer based test (CBT) format, with a total of 100 multiple-choice questions for either test. Each test taker must score 220 or higher in order to pass. For the PBT format, you are allowed 4 hours and 30 minutes to complete the test, however, if you use the CPT format you are allowed 2 hours and 30 minutes. 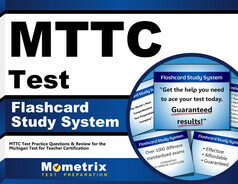 Choose whichever test format is best to suit your needs, but make sure to check out the MTTC Early Childhood Education (General and Special Education) (106) practice test from Mometrix! Prepare yourself for the exam with our practice test that’s sure to help you pass and become certified!